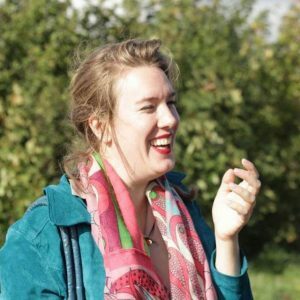 Evelien will write a guest blog for Weekends in Rotterdam every other month about her life in Rotterdam. She will share tips for fellow working mommies, such as hotspots, events and more! Let me introduce myself. My name is Evelien, I’m a 33 year old mom living, working and mommy-ing it up in Rotterdam. I have a 2,5 year old son, who was born extremely premature at 24 weeks gestation. Evan is a fun, healthy(ish), active and adventurous (albeit he is afraid of sand) little boy. He loves animals, unless they make sudden noises, same goes for motorbikes. He loves climbing. He’s crazy about bike rides. He’s a great singer and guitar player. He gets hyperactive when he’s tired. He has an aunt he adores and they do all kinds of cool stuff twice a week. He’s a sucker for pancakes and poffertjes. Every month I’ll be blogging for Weekends in Rotterdam about living and working in Rotterdam, and I’ll share all the fun and energy this city brings me. As I’m also a mom, I’ll share plenty of advice of things you can do with your children in our cool city. For my first ever guest blog I’d like to share some of my favourite places with you, which are fun to visit with a toddler. The Deer Camp is a beautiful and fun place to hang out with your toddler. The deers can get lazy though and just lounge around. Luckily there is so much more to see and do in Het Kralingse Bos. On the other side of the road from the Hertenkamp, close to the water (Kralingse Plas), is a playground where the kids can ruff house, climb, slide, swing and play with sand or not. You can also have an ice-cream at the little snackbar opposite the deer camp. Or some fries, cake, coffee. If you’re into pancakes, a bit further down the road there’s a pancake restaurant called de Nagtegaal. All these establishments are kid friendly. If the kid plays happily and coffee is served, I’m one happy momma. Always open, but sometimes the deer sleep. Talking about playing and coffee. Man, if it’s raining and you find yourself unable to go to the Kralingse Bos; go here. Good coffee, great play area for toddlers; little IKEA kitchen, a train, dolls, lots and lots of trucks and also the sweetest staff. They also serve lunch and you can order a sandwich for the little one. AND they have THE BEST sugar free treats made by SUE or if you’re feeling naughty; sugar full cake from Koekela. If you don’t know Koekela. Order. The. Cake. Carrot cake, might I suggest. Such a fun place to go, especially during summer. This is a Green Playground, because all the objects are made from natural materials. They have a kiddy pool, in which they only put water during sunny days. There is a separate play area for the smaller kids, so they don’t get overruled by the bigger ones or get themselves in dangerous situations. This area has a fence, so mommies can sit back and relax. Here too, coffee is served hot. Tostis can be ordered for the kids and parents. It’s run by volunteers, so opening hours and days depend on them. They do a great job and you only pay like 50 cents to get in. Because they have a giant chicken statue that’s been there forever and I used to sit on it as a child. And loved it. But they also have a spacious place for the real animals and a nice playground for the children to run around in. They serve pancakes and ice-cream and also coffee, naturally. There is a little shop where cheese and eggs are sold. As a kid I would bike over there by myself and buy my mom brandnetelkaas. A special cheese with nettle in it. So much yummier than it sounds. Evelien is guestblogger at Weekends in Rotterdam and works as a physical therapist at Aafje rehabilitation centre. Next to her work she is happily married with Urwin and mother to their son Evan. Every other month you can read a new piece by her about her life as a working mother in Rotterdam.